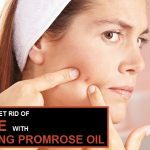 We may all of us at one time shared frustrations of developing acne. To some individuals, this problem starts as early as even at their childhood and end during their teen years. To others though, this condition might be a regular thing in a lifetime. This problem may arise due to many reasons, maybe consuming a diet that if full or rather high in oils, sugars and fats, it may arise due to stress, usage of some specific medications and steroids, having extra sebum in the follicle, usage of heavy makeup’s, due to androgen hormones, rough and harsh cleansing, maybe it can develop due to hereditary factors, and also other environmental issues among other factors. Your first defense line against this problem is taking easy and simple measures in getting rid of it as immediate as possible when it arises. Popping a Pimple on Your Forehead, Is It Right? 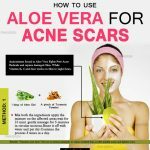 Studies conducted shows that using Aloe Vera in conjunction with other traditional anti-acne medications, there comes out such promising results all through. Consider applying it directly on the forehead blemishes. This should be left it stay on the skin for some time then you consider washing it off after some time. The product is rich in amino acids helping in nourishing our skin making it smooth, softer and also elastic. We are relieved from inflammation and skin redness by its anti-inflammatory property. The skin gets protection from acne-causing bacteria and germs by its antibacterial, antiseptic, antimicrobial and germicidal properties. When to apply: It should be applied on a regular basis before you resume for bed and wash it in the morning when you wake up. This has been proven to treat this problem by scientists. All you need is a simple guide to help you how to apply it. Place few diluted tea tree oil onto a tissue or cotton swab and dab it to the affected area gently. You should leave this either overnight or for a few hours before rinsing it off. Benefits: It has got an antibiotic property that helps to destroy off bacteria causing acne. When to apply: You need to dilute few tea tree oil drops with about 30 to 40 witch hazel drops and apply it on the skin with a cotton swab at least twice a day. We sometimes develop this problem due to shampoo we use, bacteria or even the level of PH on the skin. Apple cider vinegar’s properties can greatly help cover up this problem. Dilute one part with three parts of water. Thoroughly cleanse the face and thereafter pat dry it. Apply the mixture gently using a cotton ball directly to the areas affected. Let it stay for like 10 to 20 seconds before rinsing it and then pat dry. It has antibacterial properties and lactic acid that helps reduce redness of the skin that is caused by acne. It also helps in exfoliating the skin and balancing the PH levels. When to apply: Consider applying it twice a day, in the morning and at night before resuming for bed. 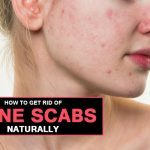 This is among the excellent natural remedies to get rid of acne. It will significantly diminish this problem if used on regular basis. You need to apply it using a cotton swab carefully on the affected areas. This should be left for a few seconds before rinsing it with lukewarm water. You need to repeat this a few times every day. When to apply: It can be better if you apply it before resuming for bed. Let it dry and thereafter wash it in the morning. Benefits: Lemon is known to have an acid that has a mild astringent quality helping to reduce skin oils. This has from the past been used by herbalists to heal many skin disorders including acne. Add green tea extract in hot water for like at least three minutes and then let it cool. Wash the face gently with a cleanser then pat dry it. Apply the mixture to the face and let it stay for at least 20 minutes before you consider rinsing with cool water and then pat dry. When to apply: Considering applying it twice every day, in the morning and at night before sleeping can be best. Helps reduce production of sebum and thereby countering acne related risks. 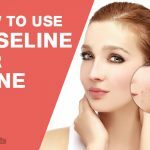 Clogging of the skin pores causes acne. Green tea greatly helps fight impurities that might clog the pores of the skin. It also helps reduce cases of inflammation that normally comes as a consequence of acne. For quite some time, zinc supplements have been proved to treat acne. Considering low doses can be best for users who will use it to treat this problem. In case you are getting enough zinc dietary and that your acne is mild, considering tropical zinc products can be better. You need to consider a dose containing between 25 to 50 mg of zinc taken at least three times on a daily basis. When to apply: Start your zinc intake in the morning and do this up to even five times a day on regular basis. Benefits: Zinc acts as a skin protectant helping to maintain the skin dry soothes and protects the irritated and red little baby bums. This has been among the popular mainstay that helps treat moderate acne for quite some time now. It has few side effects but it can cause redness, stinging or even peeling to those who have sensitive skin. This treatment is normally found at a concentration of between 15 to 20 percent in creams. This can be applied directly all over the face. When to apply: Consider applying in the morning and before resuming for bed at night. Helps to keep the pores clear, reduce inflammation and also kill bacteria. It is also a popular skin-lightening agent that can fade marks left after treating acne. Many of us actually never like it popping up a pimple on their foreheads or any other part of the body. It is actually not right to do it since some dirt will be introduced into the skin from your fingers which may lead to developing an infection. Similarly, popping a pimple can take quite some time to heal up and might go a step further to leave a permanent scar on the forehead. You should create a regular schedule of washing your face twice a day with a gentle cleanser. Thereafter, rinse with warm water and pat dry it gently. You should avoid scrubbing since rubbing can worsen the situation. Consider washing your hair more often. You can use a shampoo that is meant to treat oily hair in case your hair is greasy. Totally avoid the usage of pomade products on the hair. In case you have to apply them, consider wiping off the forehead with a damp washcloth afterward. You need to maintain your bangs. You can consider cutting them or pull them out using a hair tie. The bangs are a source of this problem especially if your hair is oily. Always try to keep your hands off the skin. Why? Normally, you introduce bacteria can penetrate into your pores every time you touch the face. In case you have to touch yourself, do it with clean hands. This is a pandemic all over the world and there is a need that people have knowledge of the causes of it and ways to encounter it when it develops. Taking proper care of our bodies is the best way to minimize the breakouts at large. While out there looking for the products that can treat this, you need to be extra careful as there are others that are less effective. To some people, they might have not experienced this problem before, if it develops all of a sudden, it’s better you find out what might have caused it and then look for a ways of covering it up before it develops further.